Sparkling round diamonds decorate the signature open hearts design in this lovely necklace for her. 1/6 carat total weight. Styled in sterling silver. The signature open hearts design is decorated in brilliant round diamonds in this breathtaking necklace for her. 1/2 carat total weight. Set in 14K white gold. Round diamonds dance along the Open Hearts for spectacular sparkle. Set in 14K yellow gold. A diamond-decorated cross dazzles in this elegant necklace for her. Diamond Total Carat Weight may range from .145 - .17 carats. Suspended from an 18-inch box chain and is secured with a lobster clasp. Diamond Total Carat Weight may range from .04 - .06 carats. An 18-inch cable chain secured with a spring ring clasp. Diamond Total Carat Weight may range from .065 - .08 carats. This pretty diamond necklace is fashioned with 1/20 carat total weight of round diamonds in a setting of sterling silver. This heavenly necklace features two angel wings that come apart - one is for you, one is for someone you hold dear. A sterling silver Open Heart design is nestled within a larger Open Heart in this memorable family necklace. Diamonds shower the signature open hearts with impressive sparkle. Set in 14K white gold. 1/10 carat total weight. Irresistible open hearts of 14K yellow gold are decorated in dazzling round diamonds to create this lovely necklace for her. One carat total weight. Open Hearts form an angel in this inspiring necklace for her. 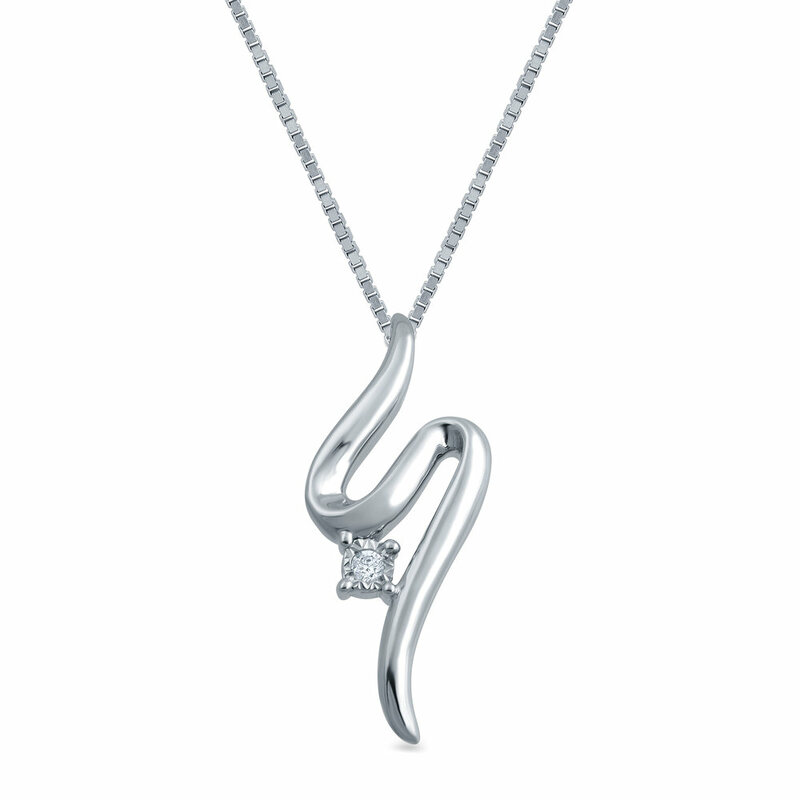 Sterling silver wings feature diamond accents for alluring sparkle. 1/10 carat total weight. A heart of sterling silver surrounds a diamond-decorated Open Heart for lovely style. Black diamond accents. Secured with a lobster clasp. Diamond Total Carat Weight may range from .04 - .06 carats. Suspended from an 18-inch box chain secured with a lobster clasp. Diamond Total Carat Weight may range from .04 - .06 carats. Blue diamonds are treated to permanently create the intense blue color. Diamond Total Carat Weight may range from .145 - .17 carats. 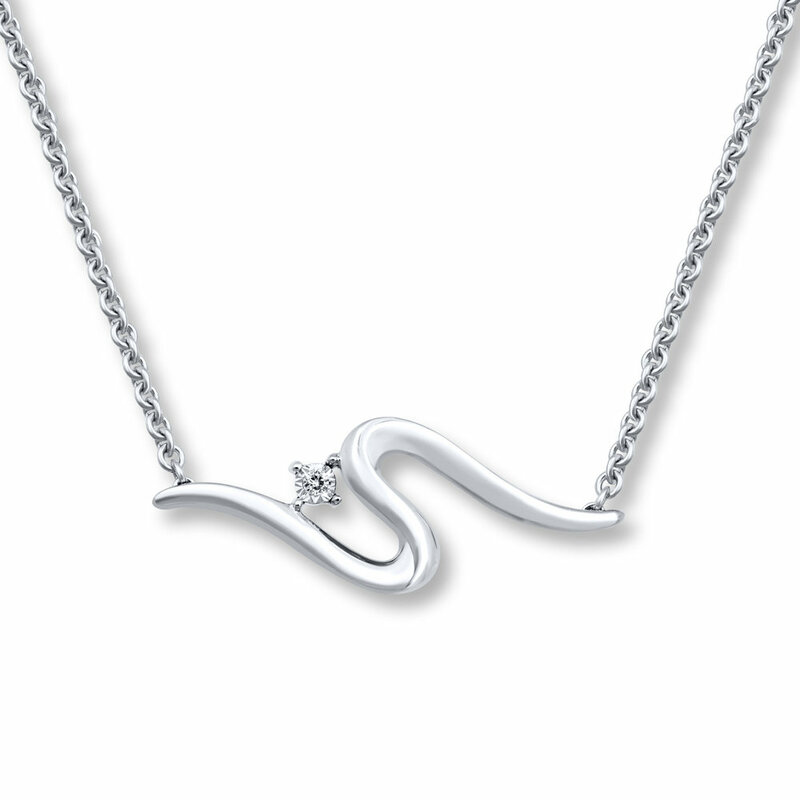 The signature open hearts design takes center stage in this picturesque necklace for her. Styled in sterling silver. This eye-catching necklace features Jane Seymour's signature Open Hearts Design in sterling silver. Stunning round diamonds dance along the distinctive open hearts design in this lovely necklace for her. 1/4 carat total weight. Set in 14K white gold. Featuring the open hearts design showered in brilliant round diamonds. One carat total weight. Crafted of 14K white gold. are dressed in round diamonds for the perfect touch of sparkle. 1/10 carat total weight. Round diamonds and styled in sterling silver. 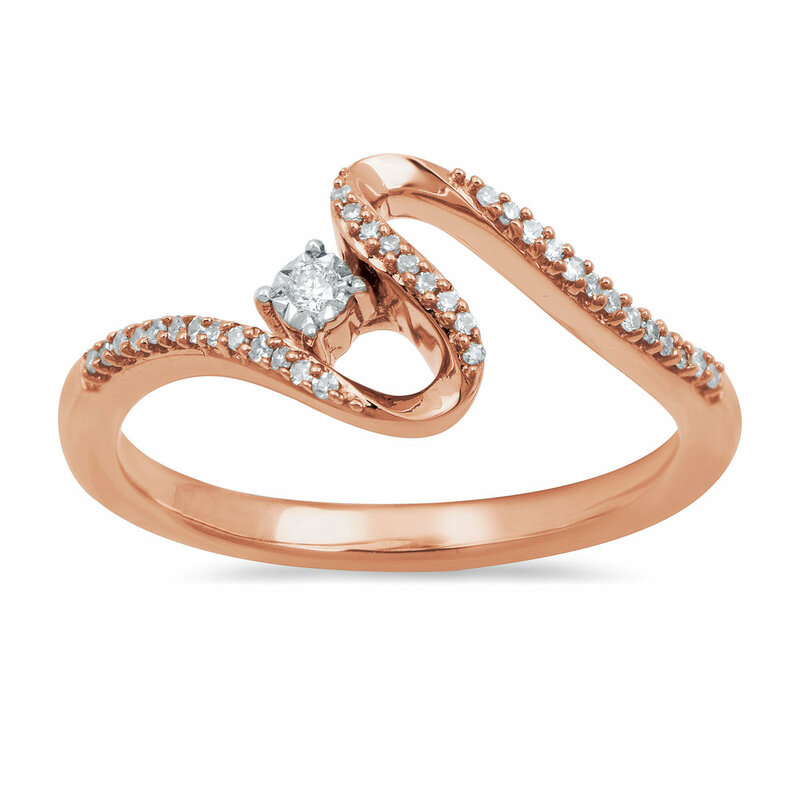 The Open Hearts Design, in 14K pink gold, completes the look. 1/8 carat total weight. Black Diamonds are treated to permanently create the intense black color. Diamond Total Carat Weight may range from .145 - .17 carats. A sparkling Open Hearts design is decorated with round diamonds, from the Open Hearts Family by Jane Seymour™ collection. A charming butterfly features the iconic Open Hearts by Jane Seymour® design at its center and is adorned in round blue and white diamonds. This heartwarming necklace symbolizes a mother (the larger Open Heart in sterling silver) with her child (the smaller Open Heart. The larger Open Heart is crafted of sterling silver, the smaller Open Heart is styled in 10K rose gold and decorated with diamonds. Featuring the signature open hearts design sprinkled with brilliant round diamonds for breathtaking style. 1/4 carat total weight. Set in 14K yellow gold. The open hearts design with stunning round diamonds in this remarkable necklace for her. Styled in 14K yellow gold. 1/2 carat total weight. The iconic Open Hearts design forms an "Angel". Diamond-decorated wings and a halo complete the inspiring style. Crafted in sterling silver. Sterling silver snowflake is frosted in diamonds for shimmering sparkle. The iconic Open Hearts Design adds warmth. 1/10 carat total weight. The heart is filled with a diamond-decorated Open Hearts design for exceptional style. Blue Diamonds are treated to permanently create the intense blue color. Diamond Total Carat Weight may range from .065 - .08 carats. Each earring features the signature open hearts design decorated in round diamonds for spectacular sparkle. Set in 14K white gold. 1/10 carat total weight. The iconic Open Hearts design creates inspiring style in these sterling silver earrings for her. Additional Open Hearts dance along the side of the earrings for added appeal. Sterling silver angel wings frame the diamond-adorned Open Hearts design in these charming dangle earrings for her. The diamond earrings, from the Open Hearts by Jane Seymour® collection, have a total weight of 1/20 carat and are secured with friction backs. Diamond Total Carat Weight may range from .04 - .06 carats. The iconic Open Hearts design forms an adorable angel in each of these earrings from the Open Hearts by Jane Seymour® collection. Diamond-decorated wings and a sterling silver halo complete the heavenly look. The earrings are secured with friction backs. The iconic Open Hearts design sparkles with round diamonds as it dangles from a sterling silver setting in each of these stylish earrings for her. The earrings, from the Open Hearts by Jane Seymour® collection, have a total diamond weight of 1/20 carat and are secured with friction backs. Diamond Total Carat Weight may range from .04 - .06 carats. Jane Seymour's signature open hearts design. 14K yellow gold. 1/10 carat total weight. The Open Hearts by Jane Seymour® design framed by a heart of brilliant white diamonds is at the center of this captivating ring for her. Black diamonds decorate the sterling silver band of this fine jewelry ring. Black Diamonds are treated to permanently create the intense black color. Diamond Total Carat Weight may range from .065 - .08 carats. Sterling Silver bracelet features an Open Hearts by Jane Seymour® angel charm accented with genuine Swarovski® crystals. Comes with two stopper charms. From the Open Hearts by Jane Seymour® collection. The iconic Open Hearts design is decorated with brilliant round diamonds set in sterling silver in this irresistible diamond ring for her. Total diamond weight is 1/20 carat. Diamond Total Carat Weight may range from .04 - .06 carats. From the Open Hearts by Jane Seymour® collection! Featuring a contemporary tonneau bezel, elegant white mother-of-pearl dial and two-tone stainless steel case and bracelet. Eye-catching Open Hearts dance along the bracelet for undeniable style. Sterling Silver. Iconic Open Hearts design with Swarovski® Crystals.